Hey Folks, How&apos;s everyone doing this late Tuesday afternoon? Christina Here, with the latest in Tampa Bay Entertainment. I&apos;m here to give you a recap of the Demi Lovato Concert. For those of you who attended, kids, moms and dads - my ears are still slightly buzzed. Thanks for that. LOL. The concert was definitely a success and everyone was a happy camper that Friday evening at the St. Pete Times Forum. Firstly, I didn&apos;t know that Jordan Pruitt was Lovato&apos;s opening act. Imagine, my surprise to walk in and there&apos;s an &apos;almost-blond haired&apos; girl performing on stage. Wait a minute, doesn&apos;t Demi have black hair? After 5 minutes of paying attention and thanks to my iPhone and 3G... ta-da; I discover it was Pruitt performing. And please note, Pruitt has lovely light honey brown hair, which compliments has sweet face. She performed a few of her songs and the audience loved it. Good vocals, and plays guitar. I salute young artist who play instruments; so good for you Jordan. 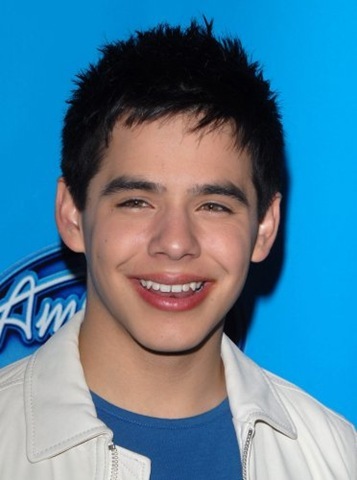 David Archuleta&apos;s arrival on the traditional stage was when the screams escalated over the norm of decibel frequency. He was a pleasure to watch perform, and those pipes!! Boy, does he have a wonderful voice or what?!?!? When Archuleta took to the keyboards and covered One Republic&apos;s Apologize, the one and only song of the whole concert I stood up for and swayed with crowd. I love that song and David did it justice. Everyone was ecstatic throughout Archuleta&apos;s time on stage. I thought I saw a few glassy eyed and emotional teenagers during his last song of the night Crush. 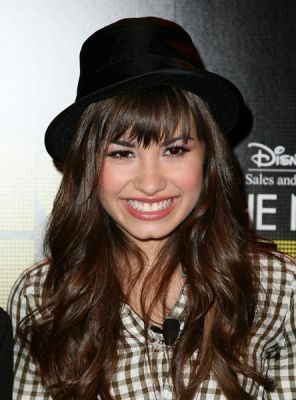 Next, what words would I use to describe Demi - beautiful girl, star performer and electric artist. She got talent and I&apos;m not saying this, but because credit should be given, where credit is due. She performed song after song with probably a 7-10 seconds lights off break in between each of them. She performed at least 7 songs till she ran in for a ONE outfit change. This rising star is not your average diva. She is a true entertainer and she loves what she does. ONE OUTFIT change - ONE. I commend her. Lovato has a mad vocal range from a 17-year-old, she&apos;s only gonna get better at this. From La La Land, Here We go Again to Get Back and Don&apos;t Forget. The crowd definitely got their monies worth. I had a adorable little girl next to me, she stood on her chair the whole time, eyes never once flinching or leaving Lovato. Lovato is definitely a great influence on our youth and that&apos;s a good thing, isn&apos;t it? People, I&apos;m telling you... I have a list of what&apos;s in this summer. So keep the calender for Tampa Bay Area Events open. There&apos;s only more from where this came from. Stayed tuned for things to do in Tampa Bay. Take care. Cheers! !